The CIA has released a half-million more documents found in the Navy SEAL raid on Osama bin Laden's Abbottabad compound in 2011. The documents are a treasure trove for researchers and historians. On November 1, the CIA released 470,000 documents that had been collected during the Navy SEALs raid on Osama bin Laden’s Pakistan compound in Abbottabad in 2011. Of those documents was bin Laden’s 228 page handwritten personal journal in which his last entry was the day before the raid. The journal, a yellow notebook, appears to be purchased at a well-known bookstore a few hours drive from the Abbottabad compound. One of the mysteries of Osama bin Laden’s life was when exactly had he become radicalized. It now appears that it was at a fairly young age. The journal reveals the first time Osama bin Laden remembers thinking about jihad and being influenced of jihad’s general atmosphere was while he was in high school. By 1976 he traveled alone to Turkey in the name of jihad for Deputy Prime Minister and future Prime Minister of Turkey, Necmettin Erbakan. At some points the journal takes on a question and answer format which is thought to be with his son Khalid, who was also killed in the Navy SEALs raid. In answering a question about his religious influences, bin Laden cites, to some degree, the Muslim Brotherhood and the Prophet’s Biography, Sīra. He mentions some influence by the militant Islamist and head of the Muslim Brotherhood in Yemen, Abdul Majeed al-Zindani. A page from Osama bin Laden’s journal which was released by the CIA to the public on November 1. In May of 2011, just before bin Laden was killed, he had low expectations for any kind of uprising to take place in Syria, though he said it would eventually happen. “The flood is coming,” he wrote. 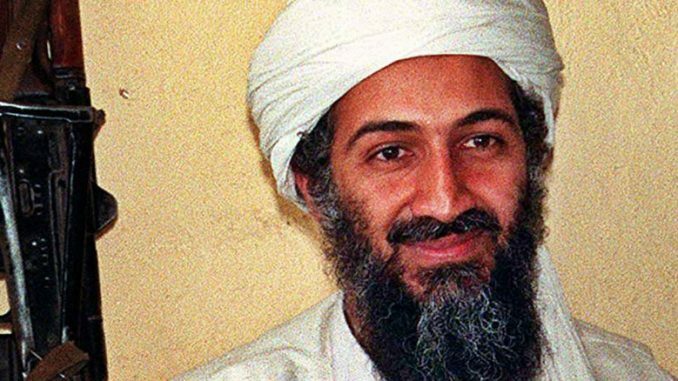 The CIA’s release of more documents further sheds light on Osama bin Laden’s beliefs and thought processes. The documents along with bin Laden’s journal can be found here. Since I do not know Arabic, a debt of gratitude goes to Hassan Hassan, Senior Fellow at the Tahrir Institute for Middle East Policy, and co-author of the New York Time’s best seller ISIS: Inside the Army of Terror, who was kind enough to provide me with key insights and translations of bin Laden’s journal.